Have you got plenty of coins in FUT, so you should trade to a few new strategies to expand? With a coin budget from 100 thousand to one million and above coins you can look for very valuable deals. In this budget range it comes to strong and valuable player! Pay attention to the EA-sales tax, otherwise you fall quickly into the red. With this first method you keep lookout for players from senior teams this week. These usually fall behind the current TOTW-kickers and are therefore perfectly suited to make deals. An example: Shinji Kagawa should be included in a current team of the week, so you're looking for a black card from an older team of the week. The cards differ minimal and their attempts simply to offer the "old" Kagawa for the "new" price. Maybe you'll get rid of him, yes. Here, however, the risk of loss is higher, as buyers are not guaranteed. A decline in prices for older cards is possible because diehard FUT players look through the deals. In addition, here the EA control engages properly at prices between 50,000 and 100,000 coins. Here, you don’t look at the Buy It Now price but probe the bids. In high-priced people have rather low, instead of buying expensive by BIN. You should have about 500,000 coins, so it represents the transfer market search to 50,000 minimum bid. As the maximum bid uses your entire budget. Here you get a long list of cards that have to sift through. Players who have already received bids for their offers, if these bids are below the usual BIN price. Check out the player's average BIN. If the bids are below, Go with it. But pays attention, about 10 percent are definitely among the lowest BIN price. Beyond the 1,000,000 limit dominated the market, where it claimed all of a player for you cards. Here, however, can high losses occur in FIFA 16 Ultimate Team, so caution is needed! You are taking a big risk. But you should succeed; you shall remove sizeable profits. Shortly before the announcement of the new team of the week you look once more into the current Team of the Week. Shortly before the change of the prices of these players are in fact arrived at normal levels. Players open a lot of gold sets in order to get hold of such a player. Once the new Team of the Week was published by EA, there are no more new cads of the "older" players. Thus, the price rises because supply is limited. You can now try your luck and offer a player acquired from an old team of the week directly or wait. At best, you are waiting still two to three weeks, because then the player should have risen up to 30 percent of his value. The highest risk is in this method, because you cannot control the demand to 100 percent. Look for rare Players out that it is not often there and buy them all. 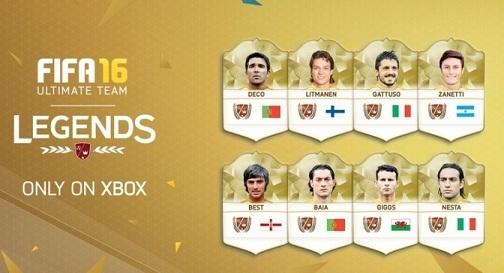 Now you have a monopoly on these players in FIFA 16 Ultimate Team. You must now determine the prices, you should but be sure that there are buyers for the special cards. Further cards should flow into the market, after you buy. Then, the player gradually created out again specially for your price. The low supply should then ensure high profits. But beware: There is no guarantee for this speculative method.